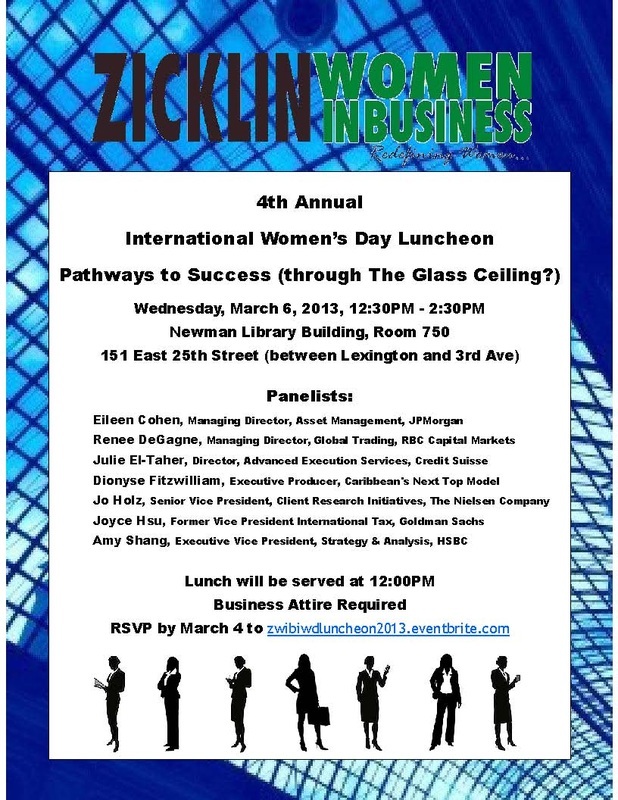 Interested in working in Financial Services? Wonder what it is like to be a trader? Never been to a trading floor? 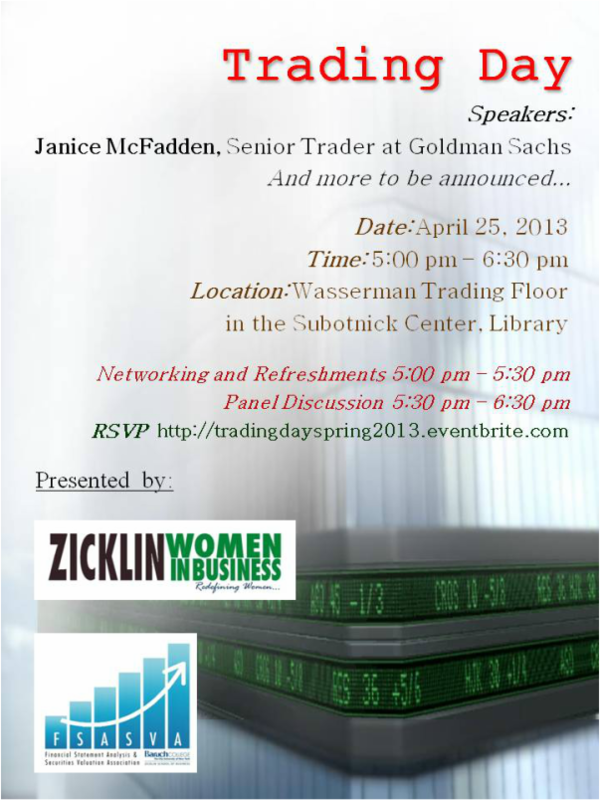 Join ZWIB on 4/25 to learn about trading from a Senior Trader from Goldman Sachs and explore the Baruch's trading floor. 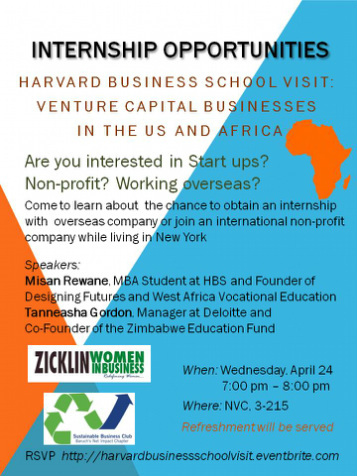 Harvard Business School will come to Baruch to discuss currently available internship opportunities in venture capital both in the US and abroad. Want a better salary? 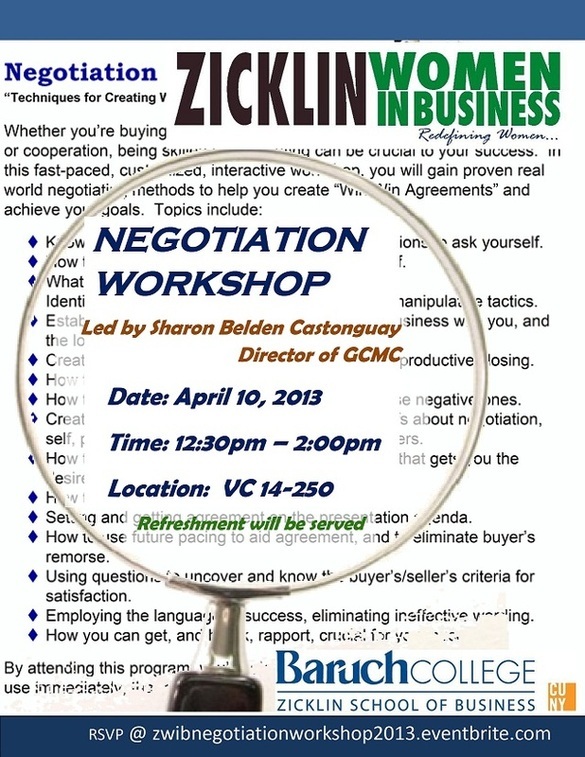 Come learn the in's and out's of negotiation in this informative workshop.